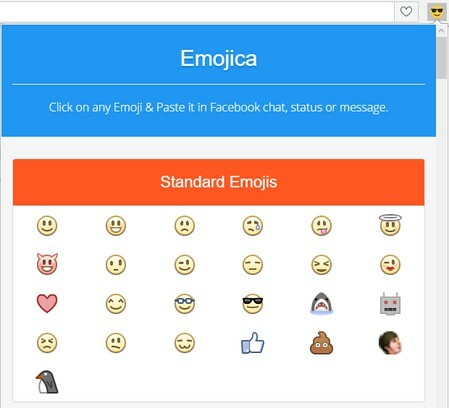 Emojica is a nifty extension to use 400+ Facebook emoticons in Facebook chats or statuses right from the extension popup. 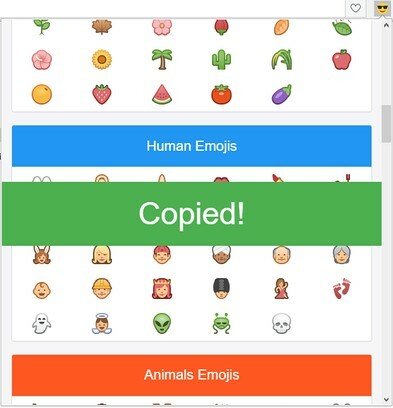 Just click on any of the emoticon you like to send and it will get copied. Now all you have to do is paste it using Ctrl+V or Right Click -> Paste in Facebook's chat window, status or comments.